On a day that saw the latest nonsensical claims from the UK government about Russian government culpability for the Skripal assassination attempt back in March, we came across a story which shows how the other great “It’s The Russians fabricated narrative is falling apart. The Russians are alleged to have launched a cyber attack on the headquarters of global chemical weapons watchdog OPCW while it was investigating the Salisbury spy poisoning, the British and Dutch security services have revealed. No evidence has been offered to link the action to the Skripal case. Authorities in the Netherlands have named four GRU operatives who, it is claimed, travelled to Amsterdam and attempted to hack into the Organisation for the Prohibition of Chemical Weapons network directly. 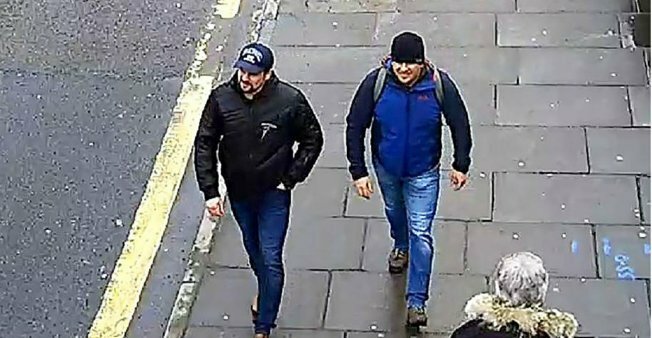 The four men – named as Alexei Moronets, Evgeni Serebriakov, Oleg Sotnikov and Alexei Minin – flew from Moscow to Amsterdam on April 10 on official passports, where they were met by a Russian embassy official. Three days later, they parked in a rental car outside a hotel near the OPCW building, with specialist technical equipment in the back of the vehicle designed to hack into the watchdog’s network. If you are quite web savvy you might, as I have, understand how ludicrous it would be to try to hack the OPCW network while sitting outside in a car, with all your hacking equipment visible to passing pedestrians. And can we believe the Russians would expect an organisation like OPCW would have omitted to secure their Wi Fi network? Well if you have believed all or any of the story about the Russians hacking the US election systems to hand the presidency to Trump, you are probably naive enough to believe this latest shite. A former top lawyer at the FBI provided “explosive” testimony to Congress on Wednesday regarding the FBI’s Trump-Russia investigation, lawmakers said. James Baker, who served as the FBI’s general counsel until May, told Congress that a previously unidentified source provided information to the FBI for its investigation, which began on July 31, 2016.